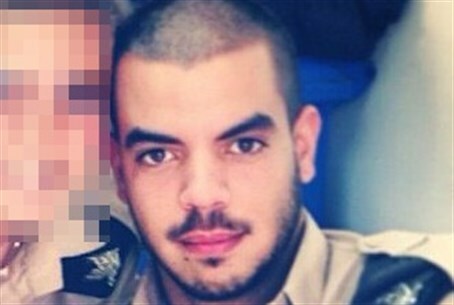 Details of the murder of soldier Tomer Hazan emerge as charges are filed against killer. The Military Advocate General's Corps (MAG) filed charges Thursday against terrorist Nidal Amar, for the murder of Sergeant Tomer Hazan in September, near the Arab village of Bayt Amin in Samaria. The charge sheet says that the terrorist worked with Hazan in a restaurant in Bat Yam, south of Tel Aviv. He lured him into traveling with him to his home, where he murdered him. Abd el-Salaam Amar, the accused killer's brother, instructed him in late 2012 to abduct a soldier. He believed that by doing so, he could bring about the release of a third brother, Nur a-Din, who is serving a 29-year sentence. "I want Gilad Schalit #2," Nur a-Din said. "I want you to abduct a soldier." He told him to hide the victim in a cave. "A live soldier is preferable," he added, "but it doesn't matter… If need be, murder him, as long as I go free." Hamas's newspaper, Falastin, published Nidal Amar's version of the events last month, based on an interview with his lawyer. According to that report it was Abd el-Salaam who came up with the idea of abducting a soldier, in order to free Nur a-Din and also to get 5 million shekels that were allegedly promised by a terror organization if the abduction succeeded. The two brothers lured Hazan to their home in Bayt Amin with a false pretext, and from there, they went to a nearby village, Sinirya. At that point, Hazan asked Abd el-Salaam for money he had promised him. Nidal attacked Hazan, removed his trouser belt and used it to strangle him to death. Nidal has claimed that he was in a state of hysteria and was not aware of his own actions, because he feared that he would be jailed for a long time, and decided to kill Hazan so that the abduction would never be discovered. IDF soldier Gliad Schalit was abducted in 2006 and held by Hamas until 2011, when he was freed in exchange for 1,027 terrorist prisoners. Opponents of the Schalit deal warned at the time that it would encourage terrorists to abduct more soldiers, in the belief that they could get Israel to release terrorists in exchange. The warnings have proved true.